drill bit sharpening machine - Purros Machinery Co.,Ltd. 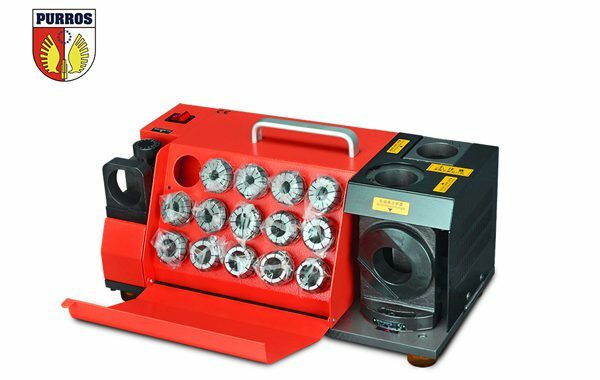 Buy drill bit sharpening machine, please click here. The grinding wheel should be returned first, then the drill bit is mounted on the drill bit to adjust the Angle. When the drill bit turns normally, the machine meshes well and can be grinded. The protective cover should be complete and normal before grinding. Manual feed should be carried out slowly, especially when the grinding wheel is in contact with the drill bit. After the drill bit grinding is finished, exit the grinding tool and stop the lathe. The drill bit can be unloaded until it is stationary. After the drill bit is loaded, the wrench should be removed in time and not allowed on the chuck. When dressing the grinding wheel, put the feed handle in the neutral position, and after the grinding wheel turns normally, the it can be redressed. The fixture should be fastened, the feed should be slow; Wear protective glasses, the head should be avoided, the protective cover should be installed, the dust collection device should start. Replacement of new grinding wheel shall comply with the general safety regulations of the grinder. The workpiece should be put in place to prevent injuries. 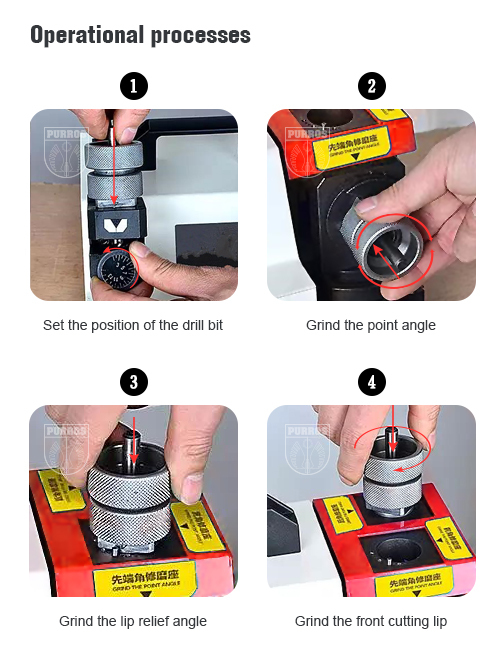 What are the basic steps of using the drill bit grinding machine? Select the correct and reasonable grinding wheel (type and model). For the new tool, first check the main geometric parameters and record, especially to record the cutting edge, chamfering and horizontal blade of the drill bit or tool. First enter the data of the grinding wheel, and then enter the data of the drill bit sharpening machine. After the grinding, the main parameters of the cutter are tested and compared with the standard data of the tool grinding, and it is modified after comparison with the tool grinding standard until the whole grinding is finished. If you do not know how to choose the model of the drill bit grinding machine for your tool, you can contact us. We have professional customer service staff to help you find the most suitable product. Are you thinking of grinding drill bit? Drill Bit Grinding Machines can prove to be dangerous and can lead to accidents. When you are working with Drill Bit Grinding Machines, you have to be extra careful. There are plenty of risks involved that can lead to lethal injury. This is why it is crucial for you to follow safe working procedures and tips. In this write-up, we have talked about the safety tips you must keep in your mind when using a drill bit grinder. Let’s have a look at some of the safety precautionary tips. What is Drill Bit Grinder? Drill bit grinder is a handy machine that is used to sharpen drill bit, so that makes you easily bore holes in a huge number of materials. Whether the drill bit is made by HSS or Carbide Steel, the drill bit grinder can do the job because of it has two types of grinding wheel of options: CBN and SD, CBN for HSS drill bit; and SD for Carbide Steel drill bit. Cutting-edge technology is used for the manufacturing of drill bit grinding machine as it ensures precision and accuracy when you use drill bits to bore holes in any materials whether items are metals or hardwoods. Who can use a Drill Bit Grinder? Any person, whether a pro at grinding or a novice. You can use this machine to sharpen drill bit in any situation and anywhere. It doesn’t require expertise or any particular skill set. Only the basic learning of functions and instructions of this machine is required for its operation. A power drill is an essential tool when working with wood and metal. It is easy to handle and makes work easier and faster. It uses electricity and may be corded or cordless. Power drills can be used to drill holes or as a screwdriver on wood and metal surfaces. It is crucial to handle this powerful tool with caution to avoid accidents that could result in injuries to your person and damage to the material you are working on. Here are some of the precautions you need to remember when working with the power drill or storing it away. How to bring dull drill bit back to live? Everything on a drilling rig directly or indirectly assists the bit in crushing or cutting through objects. Although there are almost limitless ways a drill bit can be used, which can either be for grinding a rock, puncturing a hole through irons or drilling through aluminum, all this are only possible when the bit is new and sharp. Most bits work by scraping or crushing through objects, or even both, while some bits known as hammer bits’ pound’s object vertically in much the same fashion as a construction site air hammer, and that is possible because of its general rotational motion. Most drill bits used in making jewelry becomes dull with normal usage, and the worn cutting edges often make tasks even more difficult, resources consuming and can cause expensive accidents, which includes damage to jewelry and gemstones or even an injury to the body. 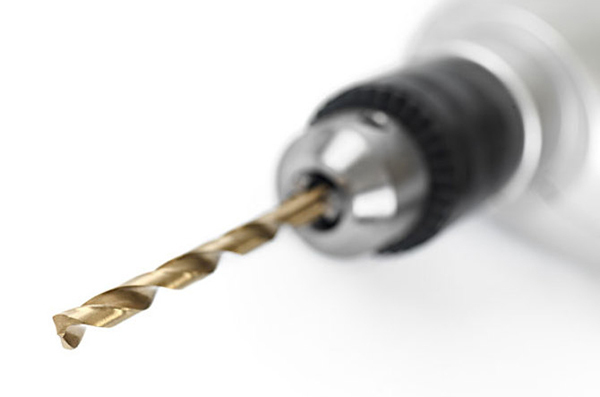 When a bit becomes excessively dull or stops making progress; the recommended thing to do is to change it, but what if there is no replacement at the moment or there is a limited supply of drill bit? The next thing to do is sharpen it. Proper maintenance of a drill bit includes keeping it clean, sharp, and consistent usage at the bench.